I admit I am not big on juicing, I believe in thermagenics Let your body do work to digest your food. Take in all the nutrients. 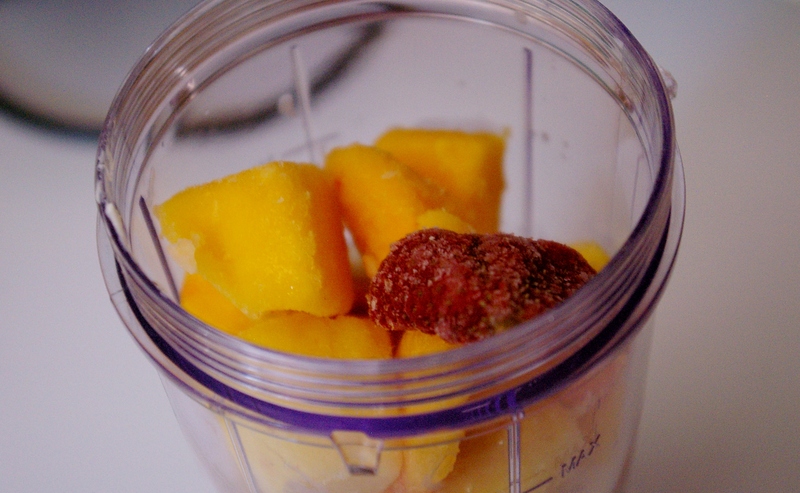 But sometimes, especially in the summer when it’s a hot day and I get off the bike (I’ve recently stopped driving my car and have picked up the biking and hiking to commute) I just want something refreshingly cool and easy to throw in a blender. I want t a nice smoothie. My first bike outing took me to my friend Chelsey’s house. For some reason I went along with her idea that we could just take a quick stroll down to the graveyard to pick some blackberries. Seven plus miles we pulled back into the driveway, nice and sweaty with our basically ripe berries. I’m hungry, but food does not sound appealing. Let’s make a smoothie. A few minutes later we each had a cool smoothie in hand, out in her Jeep to see how far we had trekked. A great afternoon of bonding, exercise, and adventure. To Make: Blend them all together. Enjoy! Add ice cubes if it is runny. Add more milk if it is too thick.